Ruff Sawn by Schlabach Country Timbers. Classic Schlabach Timber style is also available for your living room. 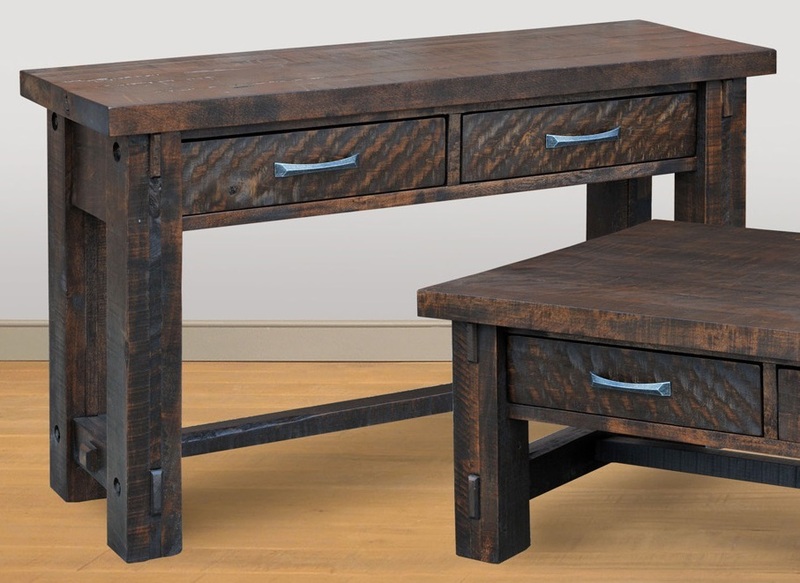 Features All Solid ruff sawn rustic wormy maple, 1 3/4" thick top, accented with bolt motif, and drawers feature undermount soft-close full extension glides. H- 30" W- 50" D- 17"